620HP 1955 Chevy Bel Air cutouts installed, Sounds so bad!! Take a look at this, 620HP 1955 Chevy Bel Air cutouts installed, Sounds so bad!! This 55 is getting tons of work done to it, but the fact is that even when it is not finished it still looks amazing, oh and let’s not forget, as you are about to hear for yourself it sounds amazing as well. The entire 15-minute video is a great way for the folks that have never come around to building their own car, to heat all the troubles these things can get you in, and it is nice for some of them to know what they are getting into beforehand, because as they are about to explain, it’s not just wrenching down brand new parts that are made to fit. Sometimes there are incredibly small issues that stop you from going further along in your build, like the block that this guy is about to show us, which is leaking fuel, and has the potential to cause a fire, if left unchanged. Check out this great video and hear this amazing 55 make some noise. 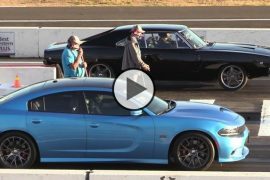 Kids Restore Dad’s 1970 Dodge Challenger R/T in Memory of Late Mother! 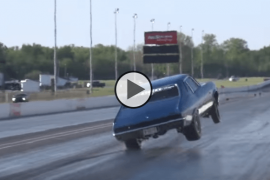 Previous articleOne Owner 1970 SS Chevelle Found On A Farm With A High Speed Duck Chase!!! 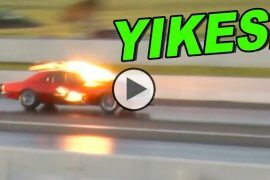 Next articleBarn Find Chevy Vega big block 1st Hell of a run at the drags!! Thanks for featuring my video and sharing it. I truly appreciate it. Just trying to bring building and racing content to the platform. Glad you guys enjoyed it. I have a lot of other build stuff on the channel as well. Thanks again. 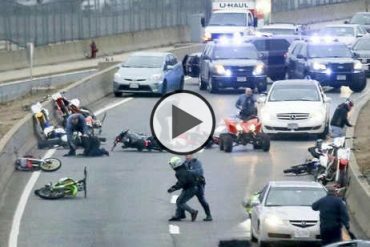 Meanwhile In Boston: Police Track Down A Crew Of Dirtbike Riders On The Freeway But They Scatter Like Ants! !